Ring is the world’s first battery operated smart doorbell. Ring’s mission is to reduce crime in neighborhoods and empower consumers by creating a Ring of Security around homes and communities with its suite of smart home security products: Ring Video Doorbell, Ring Video Doorbell Pro (HomeKit-enabled), Ring Stick Up Cam and the new Ring Floodlight Cam. With these security devices, Ring has created the neighborhood watch for the digital age and continues to keep homes around the world safe. 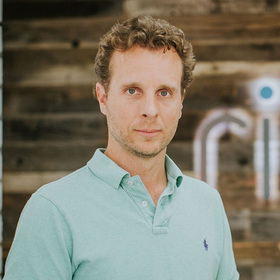 James Siminoff is the Chief Inventor and CEO at Ring. While obtaining a Bachelor of Science in Entrepreneurship from Babson College, Jamie founded Your First Step International, Inc., a company that assisted entrepreneurs in bringing ideas from concept to fruition. In 2000, the company pivoted to building and operating global wholesale Voice over IP networks in developing countries. In 2005 – perplexed by the archaic nature of voicemail – Jamie founded the world’s first voicemail-to-text company, PhoneTag. In September of 2009 PhoneTag sold to Ditech Networks. In 2010 Jamie took on email and founded Unsubscribe.com to help email users clean commercial email from their inboxes. In 2011 Unsubscribe.com was sold to personal security company, TrustedID.